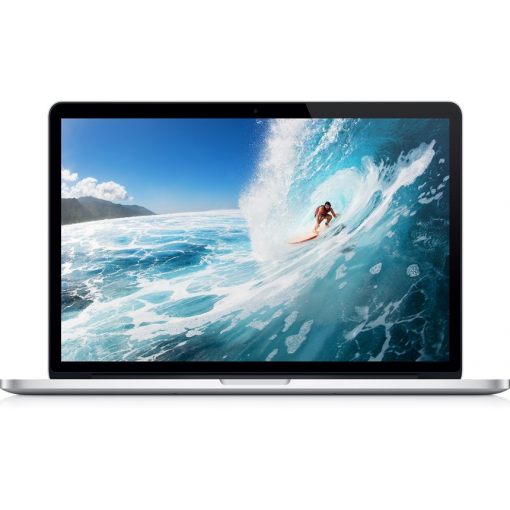 Sell My 15 Inch Macbook Pro | How Much is a 15 Inch Macbook Pro Worth? Select the information above in order to receive an accurate quote for the 15 inch Macbook Pro you want to sell. Click sell item if you agree with the price that is displayed. GreenBuyback purchases used laptops at the highest prices in the industry! GreenBuyback pays cash for your old laptops. When you sell your laptop to GreenBuyback you will never have to pay for shipping. GreenBuyback is dedicated to maximizing the cash back to our customers. Sell your 15 inch Macbook Pro for cash today! Apple released the 15 inch Macbook Pro as a much slimmer and faster Macbook version. However, the 15 inch Macbook pro's only ports are a headphone jack and 4 USB-C Thunderbolt connection; there aren’t any USB 2.0 ports or even an SD card slot on the 15 inch Macbook Pro. The 15 inch Macbook pro is the first Macbook to feature touch technology in its Touch Bar. The 15 inch MacBook Pro's traditional function row has been replaced by the Touch Bar; which is a multi-touch LED strip that offers different sets of controls based on the app you're using. Selling your 15 inch Macbook Pro is so easy with GreenBuyback; send your 15 inch Macbook Pro to GreenBuyback with free shipping and you’ll get cash sent to you fast! The 15 inch Macbook Pro features a 15.4-inch, 2880 x 1800 Retina display, which is incredibly clear and crisp. GreenBuyback will buy your 15 inch Macbook Pro in any condition, even broken. Simply head to GreenBuyback to get a quote, send your 15 inch Macbook Pro in, and get cash quick!